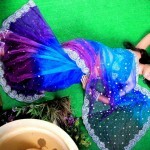 Avalon Jasmine Michael Grand Blue Saree are perfect for any event.It is not only formal wear but also semi formal wear.Elegant color and embellished work make the saree more awesome and beautiful.Bridal Saree are made according to the modernity and presenting various draping styles and designs of demand. This entry was posted in Bridal wear and tagged Avalon Saree, Bridal Saree, Grand Blue Saree, Jasmine Michael Saree, Sari by Style Cry. Bookmark the permalink.